An experience mechanic required. 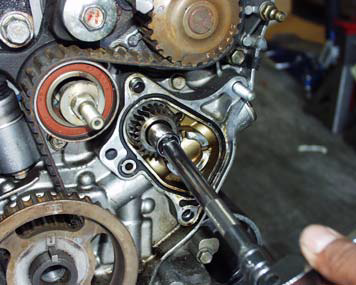 Before installing the kit, we recommend replacing water pump and timing belt. Swap Shop Racing is a dealer for Gates products. 1. 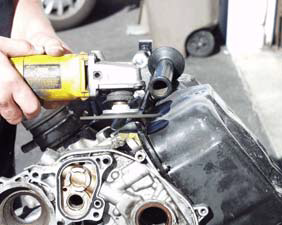 Disconnect the battery, drain and remove the cooling system. 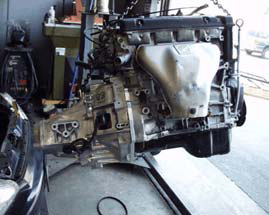 Remove motor and trans along with the axles and stock exhaust. 2. 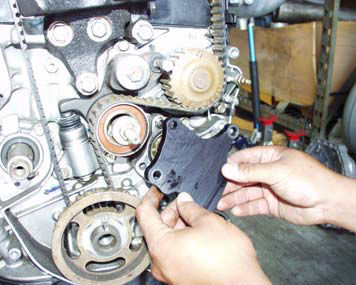 Take your H or F-Series block and place the provided template on the rear of the oil pan. Do not remove oil pan from block. Mark the appropriate area. Start to grind a 45 degree angle into the block. Caution: Do not remove too much material. 3. 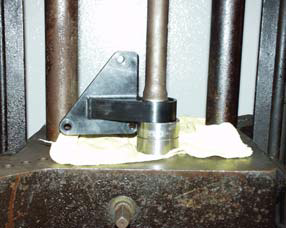 Remove the B-Series stock half shaft from the pillow block by pressing it out. 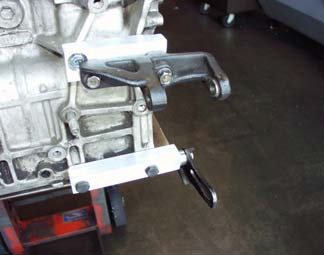 Take the Evolution pillow block and press in the B-Series half shaft and install it on the motor using the bolts from the kit and torque it to 32 ft-lbs. Then check for the axle hub and boot clearance. 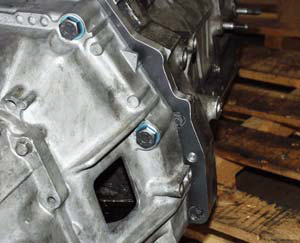 NOTE: unbolt pillow block before adapting transmission. 4. 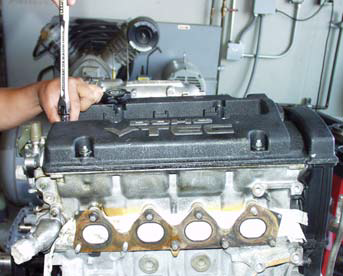 Remove crank pulley, valve cover, and plastic timing belt covers. 5. 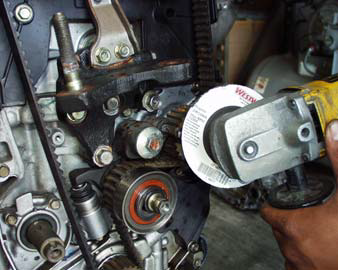 Remove belt tensioner nut, remove belt, and front and rear timing balancer pulley. 6. 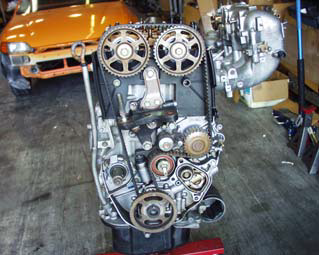 After removing rear timing balancer pulley then install Evolution pulley cover plate provided with the kit. 7. For clearance purpose you must shave down .3750in of material off the head of the bolt. 8. 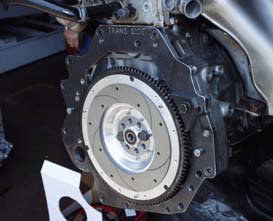 Install Evolution crank pulley provided with the kit, torque to 181 ft/lbs. 9. 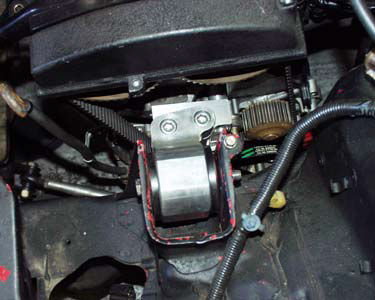 Remove driver side engine mount, then install provided Hasport driver side engine mount and torque to 40 ft/lbs. 10. 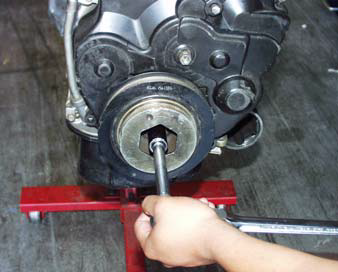 Place the Evolution H2B adapter plate on the motor with the TRANS SIDE facing towards you. Attach with the four custom Evolution bolts and torque to 33 ft-lbs. 11. 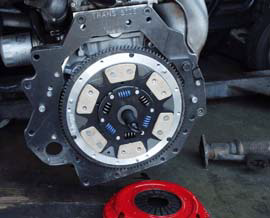 Remove your stock flywheel and replace it with the Evolution H2B flywheel. 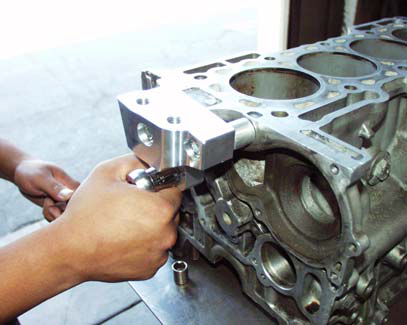 Install the locking plate, torque to 76 ft-lbs., and then bend the ears down on the locking plate. 12. 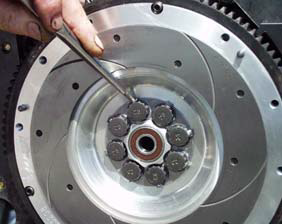 Using a clutch alignment tool, install the pressure plate and hat and torque to 19 ft-lbs. 13. 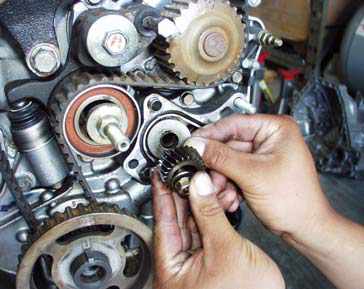 Attach the transmission to the motor using the provided bolts and torque to 33 ft-lbs. 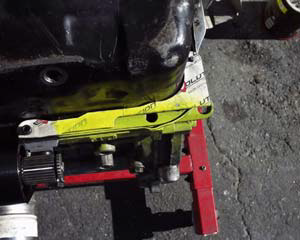 Reinstall the starter and pillow block with half shaft to the motor and torque to 32 ft/lbs. 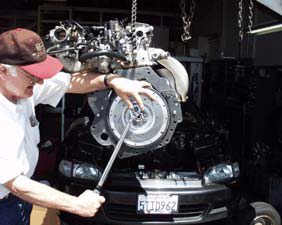 14.With the motor and transmission assembled, hoist it into the engine bay. 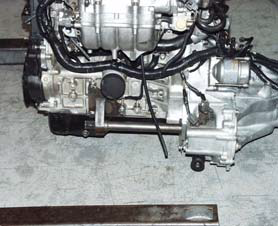 (We found it to be easier to lower the transmission side first, support it with a floor jack and then lower the rest of the motor into place.) With the jack and hoist still in place, attach the rear engine support and finger tighten only. 19. With the motor bolted in, remove the hoist and install the axles. 20. 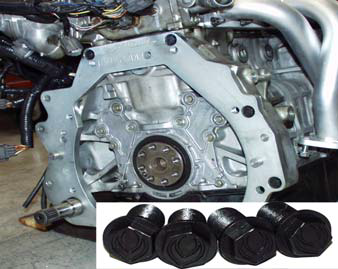 If not already done, remove the stock D-series shift linkage and replace it with the new B-series linkage. 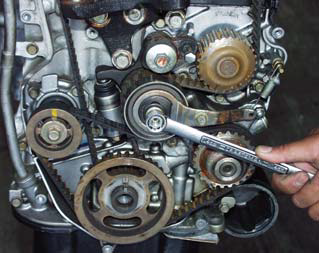 Connect the new linkage to the transmission. 21. 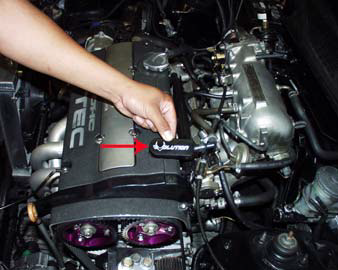 Install heater hoses along with the radiator and radiator hoses. Fill and bleed the cooling system. 22. 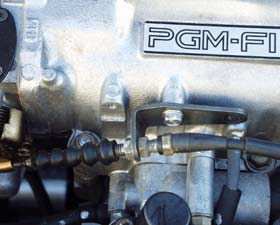 The stock fuel line will not fit so one must be custom made or bought. You can make one out of the stock fittings and a longer section of fuel line or go to your local hose and fitting store and have one made there. 23. 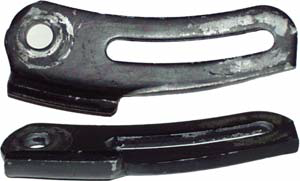 The stock throttle cable will work with B16A throttle cable bracket. Bolt the bracket on as shown in the picture. 24. 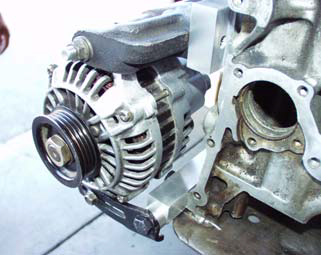 Bolt custom provided Evolution alternator relocating bracket as shown. 25. 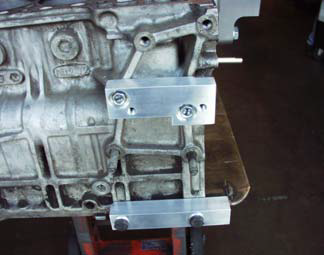 Install D-Series alternator bracket to the custom billet bracket then bolt on the Alternator. 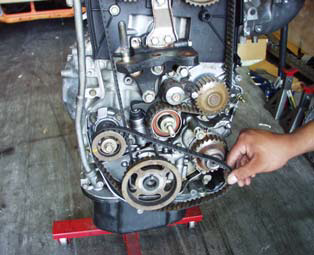 Note: We used a Gates belt part #KO40310RB (you can buy the belt thru Evolution Industries Inc.). 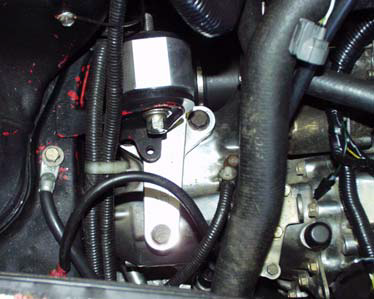 If alternator adjuster arm does not clear radius rod, shave down for clearance. 26. 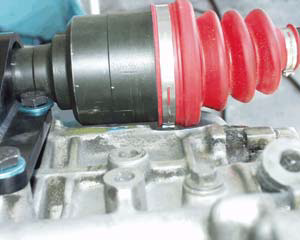 Install provided Evolution PCV Valve. 27. 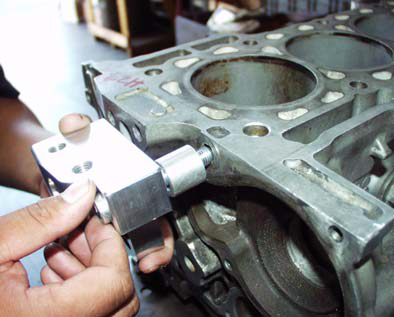 For hood clearance, spacer must be used or a custom hood has to be fabricated. 28. 6 quart of motor oil required. Disclaimer: This installation guide is intended as a quick reference for our customers. It is based on our shop's experience as well as other technical resources and is not a direct representation of any company. 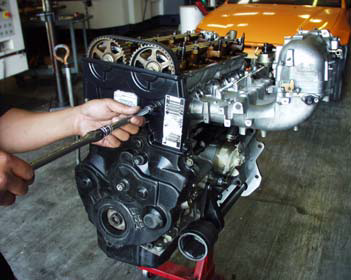 If you have further questions regarding your swap feel free to contact us 626-261-4052. 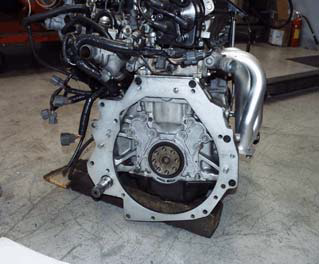 Evolution H2B Conversion Kit for 88-91 Honda Civic / CRX.